I’ve always had an affinity for colour and given that I’m a bit more subdued now at work in terms of outfits, there’s nothing that cheers me up more than bright nails. 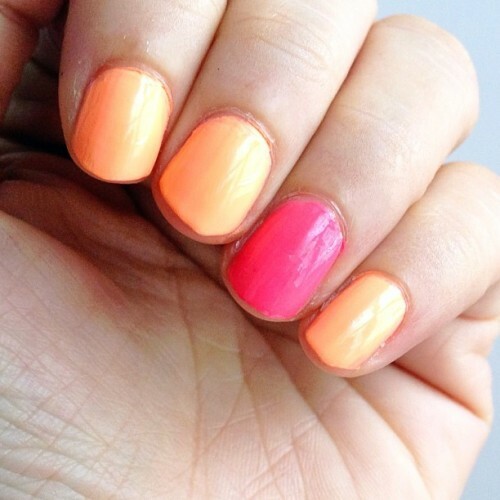 Recently discovered China Glaze’s Sun of a Peach colour which is deliciously neon in a pastel hue. Yes it sounds contradictory and doesn't quite show from the above pic so you'll just have to take my word for it!